The teaching profession is suffering a crisis of confidence as we recently learn that the recruitment targets for new teachers has been missed for the past 5 years. The single highest causal factor in all of this is workload and not only does this affect recruitment but also retention. In other words people don’t want to become teachers and if they choose the profession then a high percentage leave after 1 or 2 years. To put things in perspective and something that illustrates the problem – of those that qualified in 2011… 31% had left the profession within 5 years… 27,500 teachers who trained between 2011 and 2015 had already left job by 2016! But no amount of government recognition of the problem and shouts of “we must reduce workload” and ” Schools should cut excessive demands” will solve the problems – and we can lay these problems squarely at the feet of the government and the associated organisations that they have created! 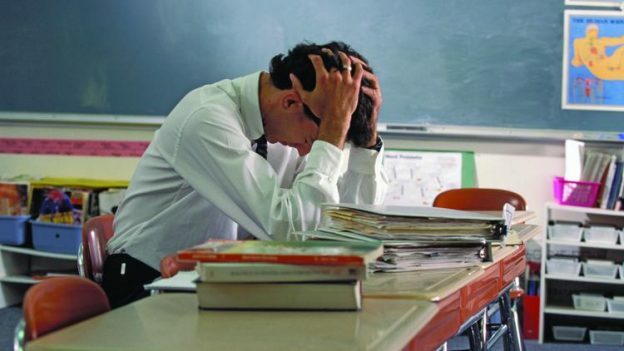 But let’s stay on track here and not stray into the above realm too much – these are the underlying causes of the problems that exist in teaching and of course are directly responsible for many many colleagues leaving the profession. It’s all in the mind? There are 2 overriding situations here – one is a variable and the other is fixed…let me explain. The demands from the government as regards the curriculum (much of which is totally irrelevant and unnecessary) and the associated pressures, result in the weight of the workload being compounded by data-gathering, form-filling, or any of the other myriad examples of endless bureaucracy that the Government requires in their futile efforts to continuously compare one school with another! Individual schools interpretation of these demands and as such the “transferred workload” that this can bring – varies from school to school and can be enormously damaging. Faced with these sorts of pressures (which may or may not be minimised by your school) how can we personally adapt our own outlooks and approaches to lessen the corrosive effects these have both on our career and also across our whole lives? You do have to step back from all the pressures and realise that non of this is your fault…so don’t take personal blame for any of it. You have to put your career in context – and it is simply this….it is a job of work (ok it’s a professional career) it is not a higher calling and let’s be honest about it, the financial rewards are not great. If I was getting paid 100k – 150k + then maybe I would consider putting in all this extra time – but I’m not so that’s where it ends! 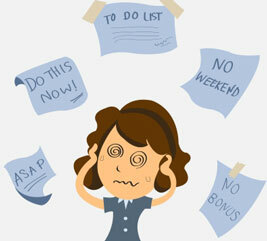 In other words – take a professional attitude to your job and try to remove all the emotion and angst. 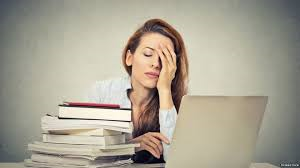 So out goes the early arrivals, out goes the staying until 6.00 – 7.00 p.m and out goes the marking through lunchtime….start to look at things from a hard nosed professional viewpoint – you are not paid nor should be expected to do these sorts of things – SO DON’T DO THEM. In order to adopt this new “professional” viewpoint out goes the worry, out goes the concern anxiety and in comes an “in control” approach. Whilst you do need to stay on top of your marking you need to use all the hints and tips that you can to reduce both the numbers of books you may take home and the time it takes. (see associated articles) Don’t agonise over the how, what and why’s of a child’s work – mark against the learning objective and give it a grade…don’t get bogged down with piles of books that take for hours. Short term personal planning – unless your school demands more (and some do…direct workload creators!) then you only need to prepare as much as you need to teach lessons effectively – so for some lessons you may need more information and research and others much less. Now all this doesn’t mean that you stop caring or can’t be bothered – but what it does mean is that you start to take a different attitude to your job. You start to treat it like a job of work which you do professionally but you put it in its place. In other words you are controlling the job rather than the job pushing you around. Its a tricky concept to get your head around but it’s something that you must do – because when you get control of what you are doing then you also stop the feelings of guilt about how you work and how long you should be working. If you couple this with what may currently be the knock on effects of your current status quo on your personal life then we can see how negative personal feelings not only pervade your job but also you free time. Or it can be if you let it…at some point you have to stop being the victim and take control – and taking control means making it work for you and eliminating these feelings that it is somehow your fault that things are not working or that you cannot manage and blaming yourself. On my timetable Fridays are a finishing off day – I don’t teach maths or english and I don’t timetable in anything that generates marking. So over the weekend I only have to look ahead for the next week and the plan for Monday! When the school is in a testing phase then I plan work that is either easily marked or I get children to mark in class etc – I don’t have any other work to mark other than the test papers…. In answer to the initial question “its all in the mind?” Well yes it is – there has to be a definite mind-shift in both the way you approach your career and also in how you execute your job. It is far too easy to become bogged down with the multitude of demands that accompany teaching and if left unchecked or unmanaged there is a great danger of simply drowning in the morass. If you feel that you are at this point or heading towards this point then you MUST stick your head above it all and take a purposeful and determined look at the combined problem areas and then professionally realign both your approach and attitude to your current situation. In doing this you will slowly start to regain control not only of your teaching responsibilities but also , and more importantly, your own life outside of school. In ceasing to be the victim you now can look at things from a professional viewpoint and in doing so make professional decisions in how you approach things – put in place an overall perspective and deal with them accordingly. The only criticism that now remains is if you don’t do it!